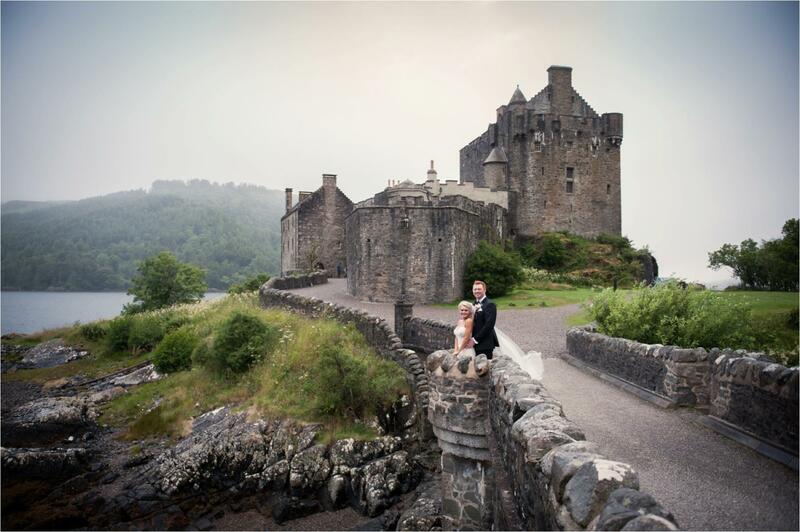 Caitlin and Walt, along with their close family, travelled from America for their wedding at Eilean Donan Castle recently. 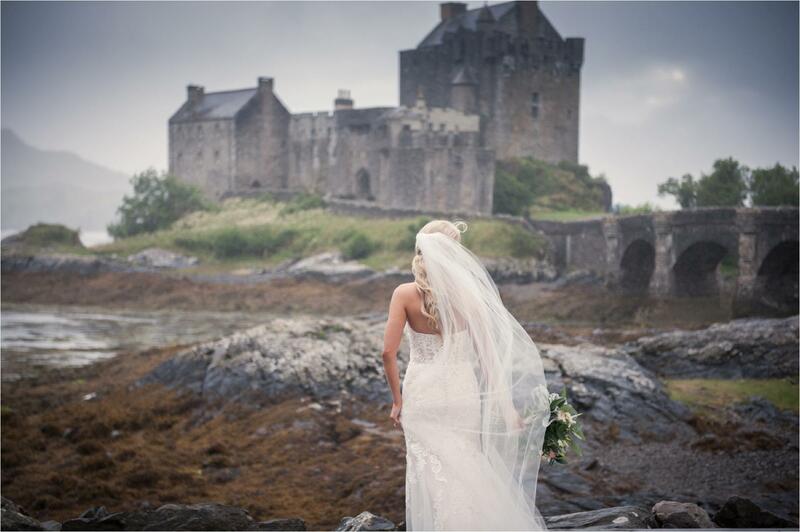 It was a typical Highland day with dramatic clouds, passing showers and wind that blew across the bridge in an unpredictable and exciting fashion, resulting in some wonderful photos. 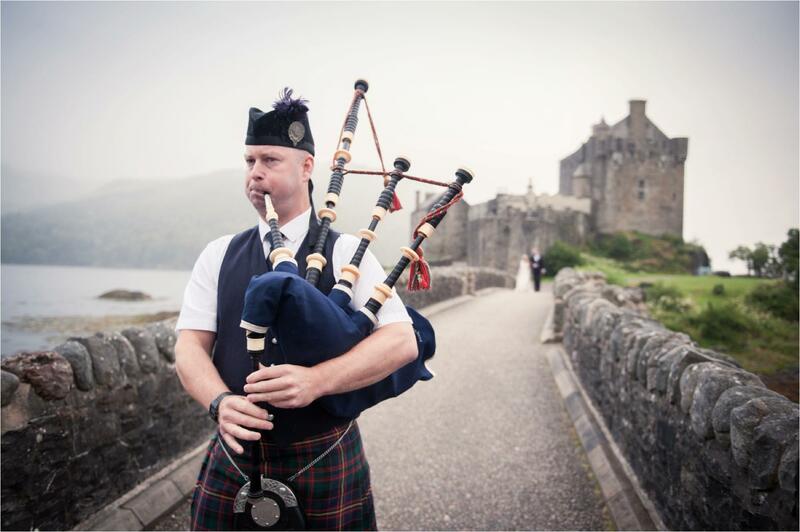 The ceremony took place inside Eilean Donan Castle and the couple were piped in and out of the ceremony to their drinks reception. 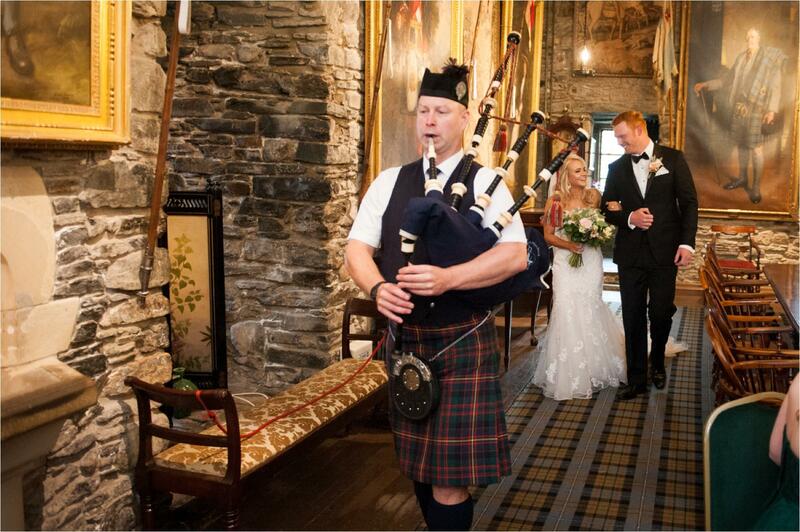 As we waited for passing weather, we took some beautiful wedding photos inside the Banqueting Hall at the castle. 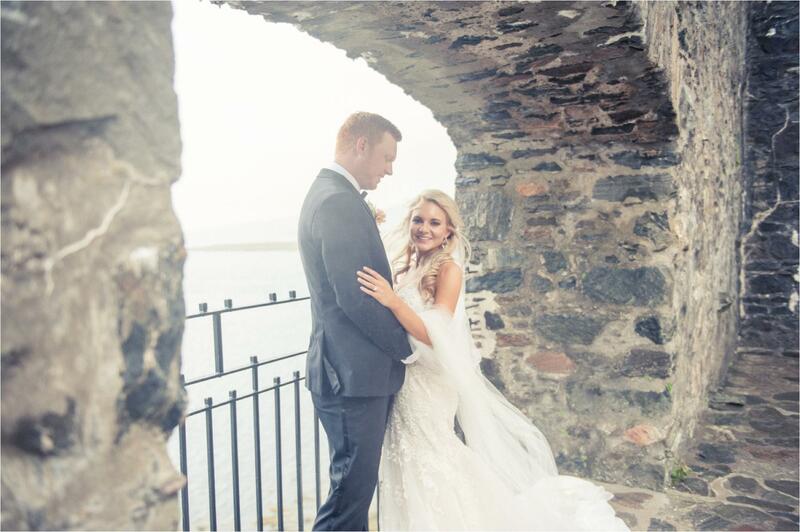 I love using natural light and the gorgeous nooks and crannies inside the castle, stunning windows and alcoves lend themselves to this perfectly. Some of the family photos were taken inside first of all as I was concerned about the wind and rain but this made for some lovely portraits of their family. 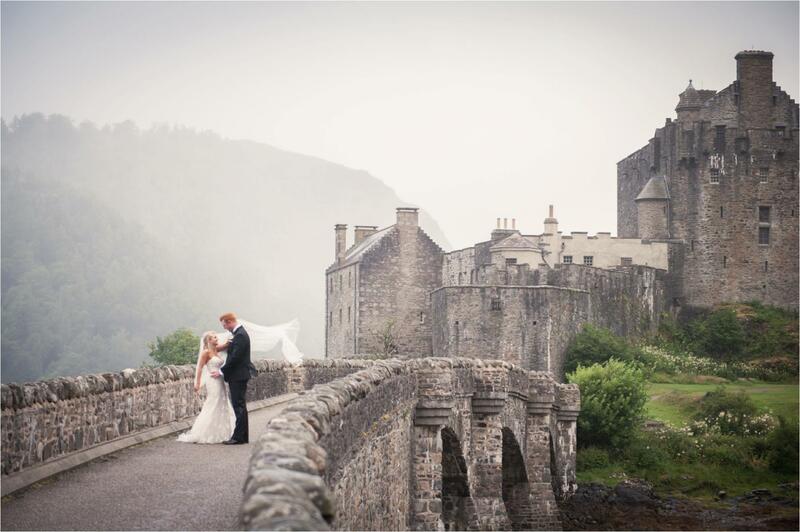 This delightful couple were then brave enough to have photos taken outside despite the periods of wind and showers and I think you will agree they look absolultely stunning. 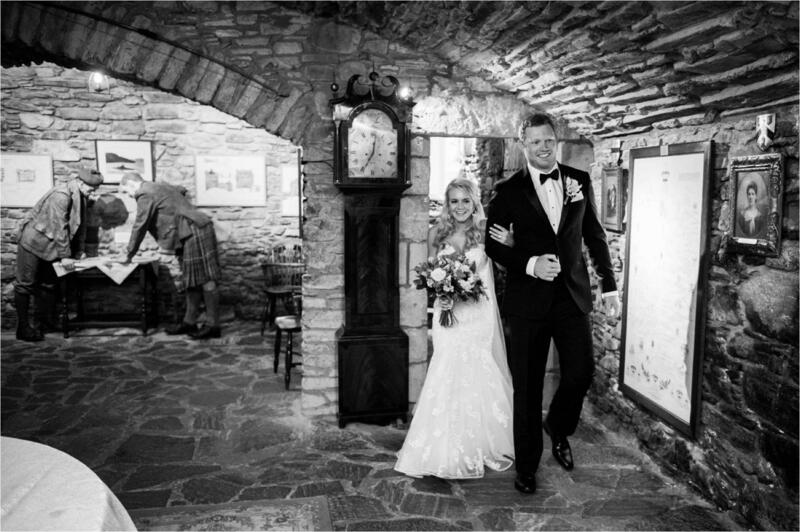 The surroundings couldn’t have been more perfect and memorable for the whole family. Wishing you very best wishes for your future together!